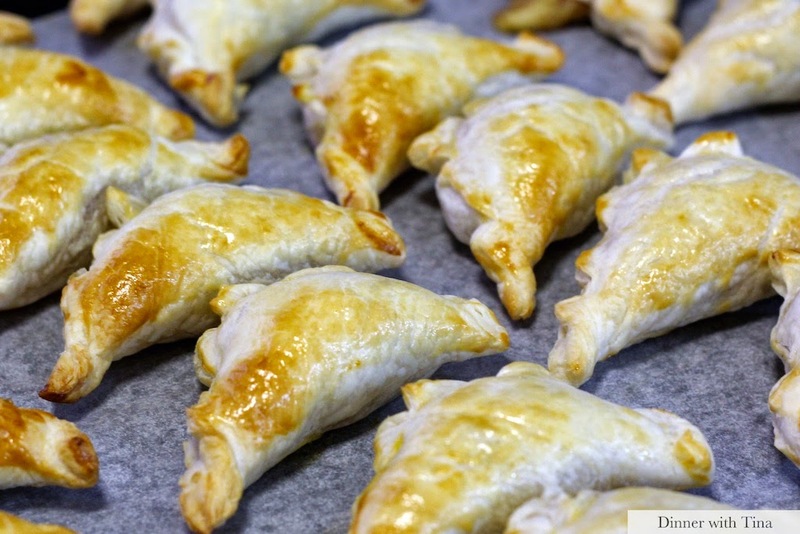 Whenever I offer to help friends with party finger food, I'm usually asked to bring spring rolls, won tons or curry puffs. 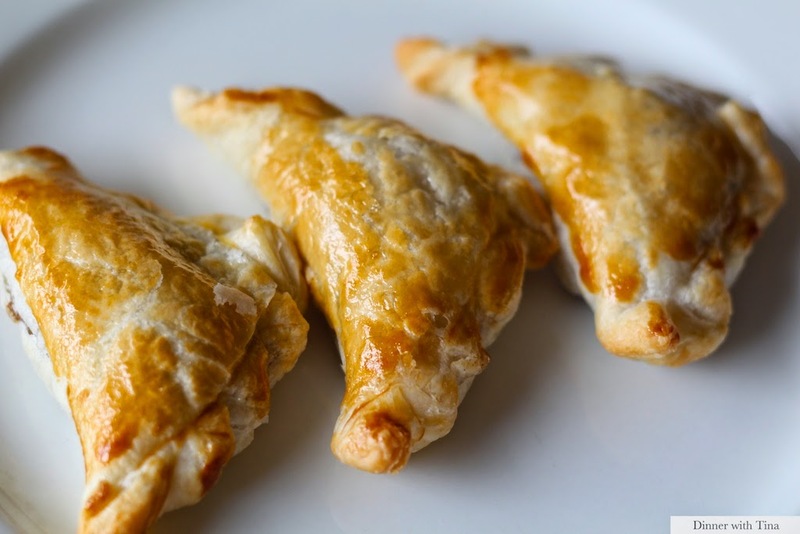 I love making curry puffs - they make a delicious quick meal, especially when unexpected guests stay for lunch! The ingredients are usually available in my pantry (or any household pantry, for that matter!). Adjust the curry powder amount according to the brand and your taste buds. 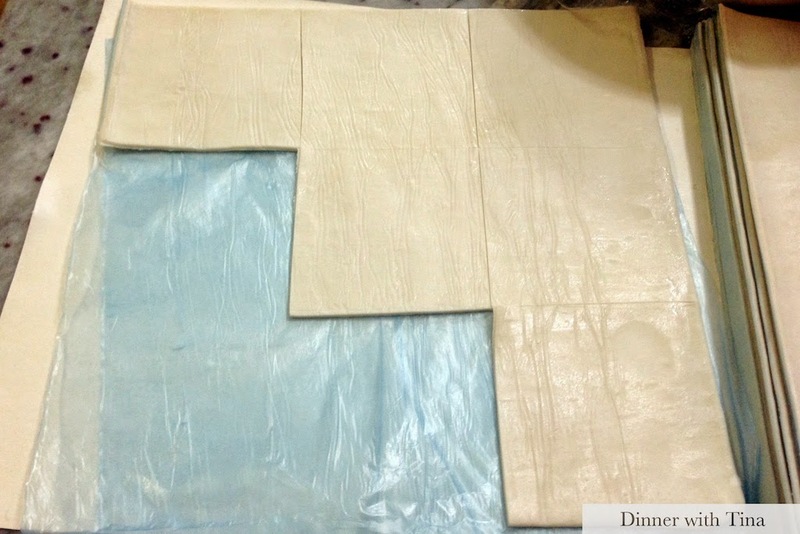 If you have time up your sleeve, you can easily make your own puff pastry in the thermomix too! - Chop the potato on speed 4 for 2-3 second. Set aside in a different bowl as the beef. - Chop onions on speed 4 for 2-3 seconds then add oil. Saute for 3 minutes on speed 2, Varoma temperature with the MC off. 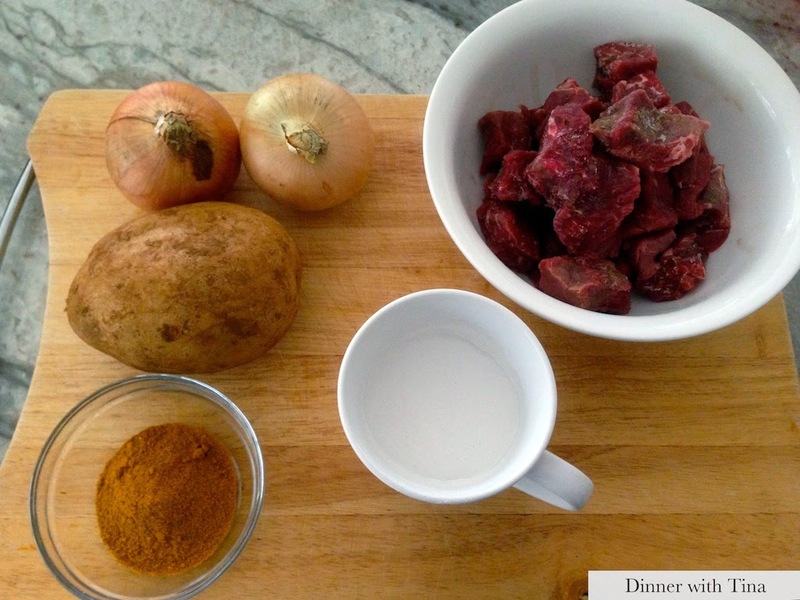 - Add beef, curry powder, salt and sugar on Varoma temperature, speed 2 with the MC off for 7 minutes. 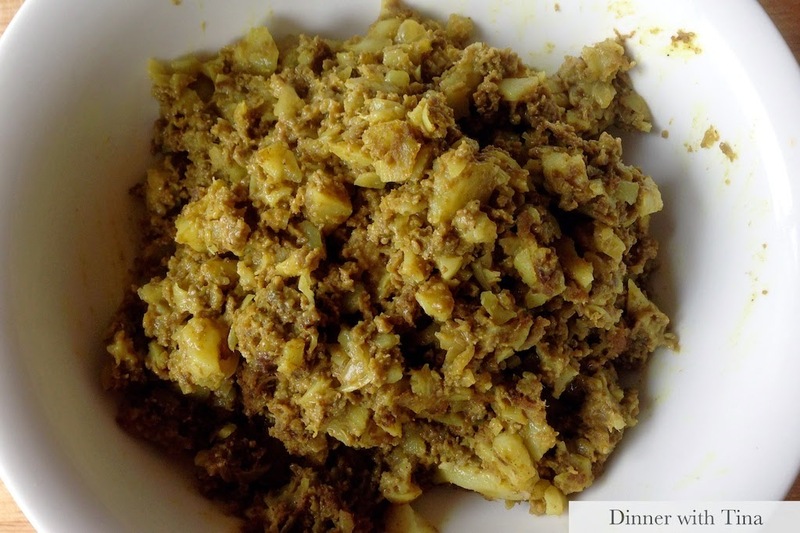 - Add cubed potato and coconut milk then fry for about 5 minutes until cooked and well mixed. 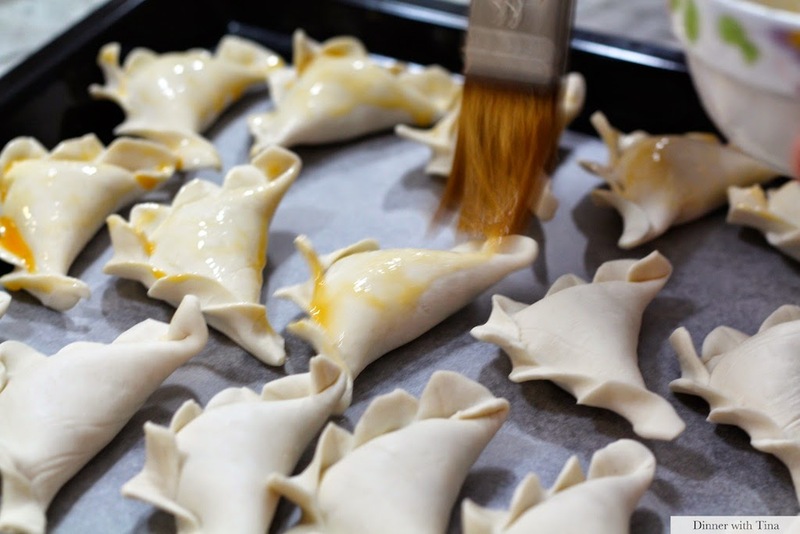 - Place a heaped teaspoon in the centre of the square and enclose the filling. You can use a fork to decorate the edges of fold them in on each other as per the photo below. 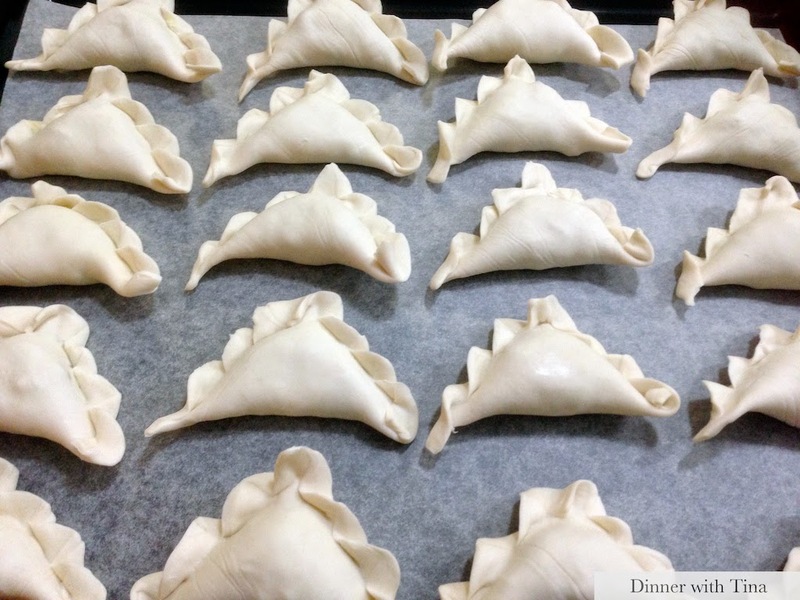 - Cook the curry puffs according to the instructions of your curry puff pastry and enjoy! Try them, Monique! They are delicious and so easy to make! I'm glad to hear that, Rose! Happy to hear you enjoyed them. Hi! Is there an alternative to rice bran oil? I don't normally keep it in the pantry.